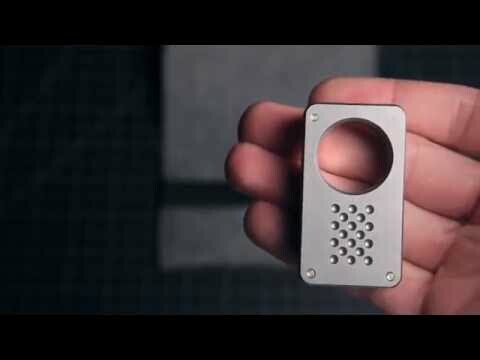 The Nug from JHO Knives is a discreet folding knife with a unique design that doubles as a knuck. 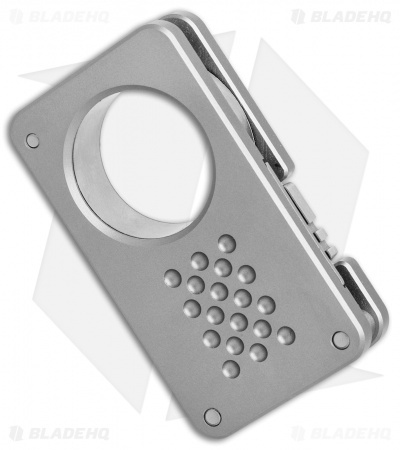 It offers an easy to use build made from G5 titanium that is both sturdy and comfortable. 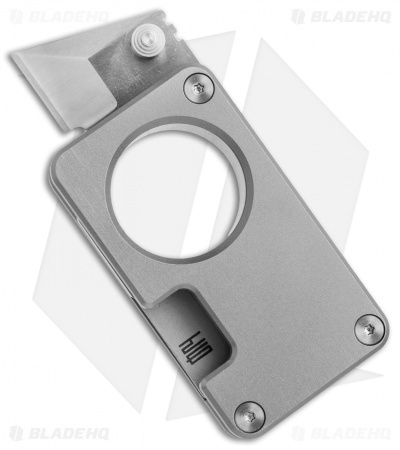 The chisel ground CPM-S35VN blade is deployed by thumb stud, and locks securely into place. Slip one into your pocket or pack as a secondary knife, or backup defense tool. If the Nug proves one thing, it's that size doesn't matter when it comes to high performance cutting tools. This model has a titanium handle and a satin finished blade. 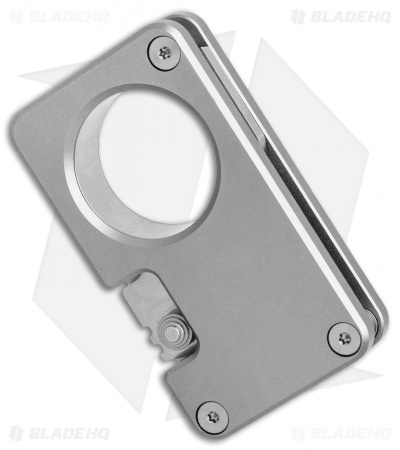 0.86" finger hole offers exceptional leverage and a comfortable grip. Tested S35VN blade performs heavy-duty cutting tasks like a champ. Free ball bearing pivot system has been installed for simple bearing replacement when necessary. The quality and design of this little package is outstanding! While I understand it may seem a lot to spend, you definitely get what you pay for. That is apparent when you get it in your hands. I like that it serves more than one purpose of being a "Knuck". While I can't claim to speak for everyone's taste, I can at least attest to the materials and crafmanship of the Nug.